Secures tube or catheter by its uniquely designed tube attachment clamping mechanism; eliminates sutures. Protects periwound skin by using today's best hydrocolloid skin care technology widely used in wound care. Easy to use, cost effective: easy to apply and remove; lasts up to 7 days; reduces nursing time. Features attached synthetic skin barrier with ElastaFlex backing and microporous adhesive. 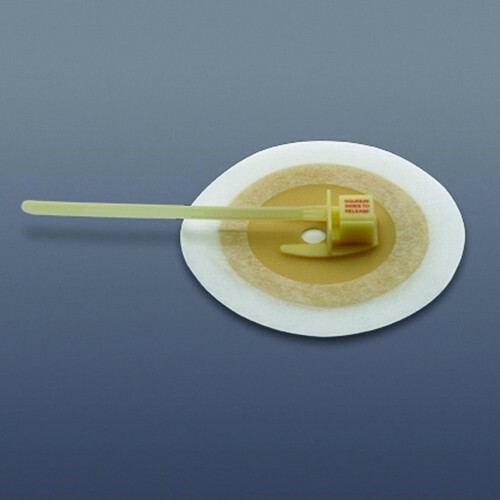 Secures a variety of catheters, surgical drains and tubes parallel to the body from 5-40 Fr. Sold as boxes ONLY. I am very well satisfied. The product was exactly what I wanted. Ordering was easy and delivery time was excellent. I have overly sensitive skin and it makes me careful about stuff I use.Since I experienced some side effect with this kind of product before, I did some research about it. It led me to the conclusion that I have to buy this one it is doing a great job for me. Never skin irritating but soft and comfortable. Thank you so much!